That's when the answers start to vary. Predominantly the No. 1 answer is that people are afraid of “the government.” Interestingly, they're not really sure what this means, but typically it tends to relate to taxes or probate. Often, they're not even sure what taxes they're concerned about or the difference between income taxes, estate taxes or gift taxes. They're just afraid of taxes overall. Secondly, they're afraid of losing everything to long-term care costs or Medicaid. We know Medicaid doesn't take any of their money, but some of it may have to be applied to the cost of care before Medicaid will pay for their long-term care costs. The third most common response is family members. Most people who are concerned about family members have family members they are afraid will challenge their estate or cause havoc for the remaining family members. We as attorneys know that it's the family members we don't anticipate who cause the greatest damage. Finally, clients want to protect from lawsuits. They are keenly aware of the possibility of lawsuits and they want to make sure that everything they've worked for is not lost to one. As we analyze each of these separately, it becomes clear why people are so confused. They are trying to distinguish between estate planning, tax planning, asset protection planning, Medicaid or benefits planning, and general asset protection strategies. To keep it simple, at Lawyers with Purpose we teach four layers of planning. First, estate planning is ensuring that what you have gets to whom you want, when you want, the way you want, without unnecessary cost or delay. Second, asset protection planning is ensuring that your assets are protected from predators and creditors. The key distinction we train our members on is between obtaining asset protection after death, by way of post-death trust planning, and asset protection while alive by way of the IPUG™ protection trust. These trusts ensure that clients are able to create them, control them, change them, and even benefit from them, without the threat of being lost to predators, creditors, nursing homes, family or any other potential threat. The third level of planning is needs-based benefits planning. This often includes Medicaid benefits, Veteran's benefits, and other needs-based benefits available to pay for a client's care if needed. Planning for these needs-based benefits is a level above and beyond general asset protection planning, but it is usually distinguishable and identified when using the LWP™ client enrollment system and documentation creation system. Finally, there is tax planning. This only applies to two-tenths of one percent of America, but it's the No. 1 reason why people want to protect their assets. So, while it is important and necessary to some, the vast majority (99.8 percent) really don't need it. That's why the Lawyers with Purpose training on its TLC™ estate planning process is essential to ensure clients are properly educated on how to achieve the estate plan most meaningful to them. If you want to learn more about Lawyers With Purpose consider being in the room with us and our members and experience it first hand! We'll be in Phoenix, AZ, October 19th - 23rd! Click here to review the full agenda. If you register by August 28th you can still snag a seat at Early Bird pricing! This is THE estate and elder law event you DO NOT want to miss. Many people are accustomed to the concept of "protecting their assets," but few are clear on the details of how to do it. The primary concern for clients is the loss of their assets to long-term care costs. Most people believe they need to wait five years to protect their assets, and once they enter a nursing home, they believe it's too late. The truth is, it's never too late to protect assets. As the LWP™ Medicaid Calculation software shows, individuals can qualify immediately for Medicaid, even if they have assets in excess of half a million dollars. The trick is to know the Medicaid laws and rules and how they apply to each client fact pattern. I'll use Mary as an example. Mary called my office frantic because her mother was admitted to a hospital, and she was advised that mom would be going to a nursing home. She immediately contacted her dad's lawyer to see what to do. Dad's lawyer was swift to give them advice on protecting their assets from the threat of mom's impending long-term care costs. Mary was thrilled that the lawyer showed them how to protect $175,000 of their $450,000. Although they were losing $275,000, they were thrilled to protect the balance. Mary eventually called me because her sister knew me and insisted she get a second opinion. When we put Mary's mom's fact pattern through our Medicaid qualification software, we were quickly able to determine that, in fact, Mary's mom qualified for Medicaid immediately and all $450,000 of her assets were safe and protected for dad, who still resided at home. In fact, I run into dad frequently at breakfast, and six and a half years later, mom is still in the nursing home and he's still at home with 100 percent of his assets protected. So, the question is not whether it is too late. The question is, how much can we protect and how soon? It’s easy with the LWP Medicaid Calculation software. It shows you how. If you would like a FREE demo of our Estate Planning Drafting Software click here to schedule a call now! When the Department of Veterans Affairs (VA) determines that a claimant is incompetent and needs assistance managing their VA pension, it approves the nomination of a fiduciary to do just that. The fiduciary is responsible for opening a dedicated bank account for VA funds only and for spending VA funds according to an agreement that the VA field examiner arranges and approves. In order to ensure that the fiduciary is doing what he or she is supposed to be doing, the VA may require the fiduciary to submit an annual accounting that documents how VA funds were spent. There is more than one type of fiduciary. The most common type you may encounter is the federal fiduciary, as opposed to a court-appointed fiduciary. Federal fiduciaries can be a spouse or other family member, a legal custodian, or even an organization like a state/local government entity or a health care facility. When do you complete it? It is up to the field examiner to decide whether a fiduciary should be required to submit an accounting, and if so, how often. For example, an accounting should not be required of a spouse payee unless there are unusual circumstances. If it does need to be completed, it is generally required annually, although the VA can request one at any time. For a regular annual accounting, the fiduciary should receive a letter a few months before the deadline explaining that the accounting is due. The due date is 30 days after the end of the accounting period, which is generally a one-year period that begins with the anniversary of the date on the letter appointing the fiduciary. You can request an extension if necessary. The fiduciary accounting is fairly straightforward, although it can be confusing the first time you do it. The VA should send you two forms to complete: the VA form 21-4706b Federal Fiduciary’s Account and the 21-4718a Certificate of Balance on Deposit and Authorization to Disclose Financial Records. The second form is to be completed by the bank where the VA account was set up and is used to document the current balance plus any interest earned. Once completed by the bank, the form 21-4718a also needs to be signed by the fiduciary. These two forms should also be filed with copies of all bank statements for the VA account during the one-year accounting period. In part 1, “Money Received,” where it states under Item A, “Total Estate at beginning of period,” you must enter the balance of the VA account at the start of the accounting period. If this is the first fiduciary accounting, that balance may have been $0. Once you fill in this starting balance, you itemize what monies were received in the VA account in the boxes below. Any regular, monthly VA benefits should be listed under Item 1B, where you are provided with two lines in case the monthly benefit changed during the accounting period. Any lump sum deposits of retroactive VA benefits should be listed separately as items 1E to 1H and classified as VA lump sum. In part 2, “Money Spent,” you list any expenses that were paid for the claimant during the accounting period from the VA account. Most of the time these expenses are medical in nature and can be listed under items 2G to 2L, since none of the pre-printed categories include medical. By subtracting the total spent in part 2 from the total received in part 1, you obtain the figure in part 3, “Total Estate at End of Period.” Part 4 is then where you list all current assets, which is usually what is contained in the VA account. If savings bonds were purchased with VA funds, you would also provide the total value of such bonds under item 4D and list those bonds individually on the second page. By totaling the assets in part 4, you obtain the figure in part 5, “Total Assets.” The goal of the fiduciary accounting is that the figure in part 3, “Total Estate at End of Period” matches the figure in part 5, “Total Assets.” If they do not, then review your entries and calculations, because you are missing something. Once the fiduciary hub has audited and approved the accounting, you will receive a letter stating as much, which may also tell you if future yearly accountings will be necessary. If you do not complete the accounting on time, you risk a temporary termination of benefits, the appointment of an alternate fiduciary, and even an investigation for possible misuse of funds. For more information, visit http://www.benefits.va.gov/FIDUCIARY/references.asp for a list of further resources regarding the VA fiduciary program. If you want to learn more about what it means to be a Lawyers With Purpose member, consider joining us for the only event for estate law, asset protection and elder law professionals AND the teams that support them! Our Tri-Annual Practice Enhancement Retreat is October 19-23rd. Registration is open and you can still grab a spot at Early Bird Pricing. To register contact Amanda Ross at aross@lawyerswithpurpose.com or 877-209-0326 x 103. Victoria L. Collier, Veteran of the United States Air Force, 1989-1995 and United States Army Reserves, 2001-2004. Victoria is a Certified Elder Law Attorney through the National Elder Law Foundation; Author of “47 Secret Veterans Benefits for Seniors”; Author of “Paying for Long Term Care: Financial Help for Wartime Veterans: The VA Aid & Attendance Benefit” Founder of The Elder & Disability Law Firm of Victoria L. Collier, PC; Co-Founder of Lawyers with Purpose; and Co-Founder of Veterans Advocate Group of America. The VA Qualification Worksheet is an invaluable tool for estate planning when your client is a wartime veteran or the surviving spouse of a wartime veteran. It allows you to input a client’s income, medical expenses and assets to determine not only whether he or she will qualify for VA benefits, but also how much exactly the client would receive each month from the VA after approval. This tool is essentially mathematical in function, as it does not take into account whether there is eligibility based on wartime service or character of military discharge. The calculations that form the basis of the worksheet are the same used by the VA. When the VA evaluates a claimant’s income and assets for eligibility, it is considering certain factors. First, gross income cannot exceed the given maximum annual pension rate (MAPR) for any year. The VA usually updates MAPRs each year and publishes them on its website at http://www.benefits.va.gov/pension/rates.asp. Not only can they change every year, but MAPRs also vary according to whether the claimant is a veteran or a surviving spouse, and also with the number of dependents, if any. Fortunately, one can use unreimbursed medical expenses to help offset gross income so that it is lower than the MAPR. Gross income minus these medical expenses is called Income for VA purposes, or IVAP. To get the maximum pension, the IVAP must be $0. IVAP between $1 and the MAPR will only result in a partial benefit. Second, the claimant cannot have excessive net worth, even though there is no specific asset limit. As the VA Adjudication Procedures Manual Rewrite M21-1MR, Part V, Subpart iii, 1.J.70.a states: “No specific dollar amount can be designated as excessive net worth.” Nevertheless, because the manual M21-1MR, Part V, Subpart iii, 1.J.70.b goes on to state, “A formal administrative net worth decision is required if the beneficiary has net worth of $80,000 or more,” $80,000 has become the widely acknowledged asset limit for VA eligibility. This asset limit applies to both single and married claimants. In rare cases, the VA will apply what is called age analysis when evaluating assets pursuant to the VA Adjudication Procedures Manual Rewrite M21-1MR, Part V, Subpart iii, 1.J.70.a, which states that “a number of variables must be taken into consideration when making a net worth determination.” These variables include income, expenses, and the claimant’s life expectancy. By applying an age analysis, the VA is attempting to determine whether “a claimant’s assets are sufficiently large that the claimant could live off these assets for a reasonable period of time,” at which point the VA can “deny pension for excessive net worth” (M21-1MR, Part V, Subpart iii, 1.J.67.g). While the adjudicators rarely apply this tool, you should be aware of the possibility. The VA Qualification Worksheet is part of the Lawyers with Purpose VA software and is also available as a standalone document, in either Microsoft Excel or Microsoft Word format, that you can complete by hand. 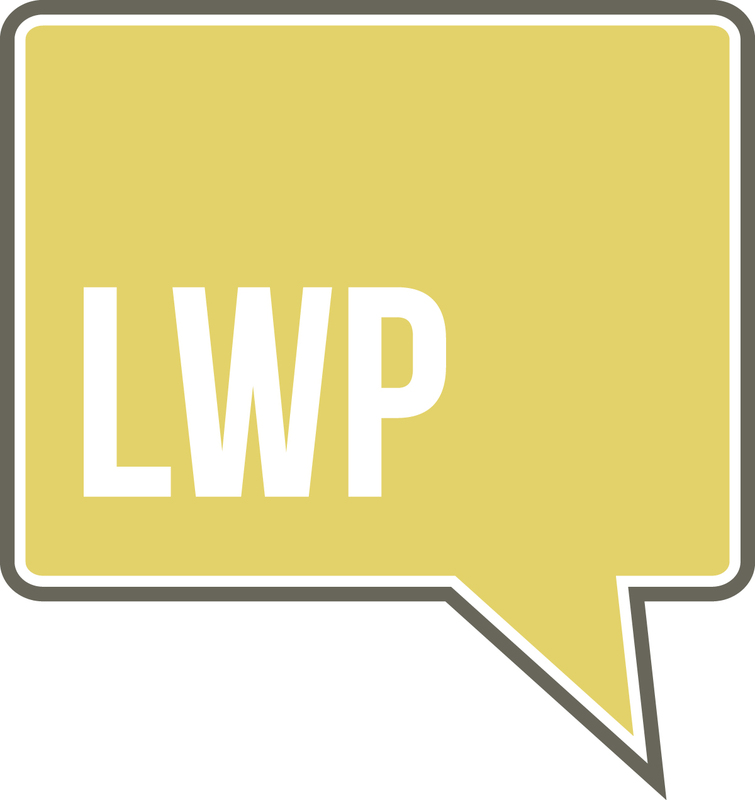 Both versions are available for download from the members-only section of the LWP website. The worksheet is composed of six sections: VA Countable Income, Deductible Medical Expenses, Assets Countable in VA Net Worth, Maximum Applicable Pension Rate (MAPR), VA Allowable Net Worth without Age Analysis, and VA Allowable Net Worth with Age Analysis. Once you enter the appropriate information in the first three sections, the calculations will give you the results for the other three sections. The VA Qualification Worksheet’s value at the beginning of the VA planning process is obvious, as it helps identify how much of a benefit a client can expect to receive, if any. However, it is also valuable to run once you have completed a claim but before you file it, in order to verify that the results are what you expected. This can increase the success rate of your claims. If the claimant does not qualify for the maximum monthly benefit, there may still be time to correct it or, at the very least, you can inform your client of the issue to minimize any surprise or disappointment with the outcome. The worksheet should also be used at every annual review to confirm the monthly benefit given the claimant’s most recent income, assets, and medical expenses, and to determine whether any further planning needs to be done to ensure continued VA eligibility. If you're not a Lawyers With Purpose member and want to learn more about the VA Proposed 3 Year Look Back, join our FREE WEBINAR on Wednesday, August 19th at 4 EST by clicking here to register. (Members - you already have access to the webinar on the Members Only section of the website!). Substantive correspondence from the VA in regards to a pension claim generally boils down to three or four letters during a typical claim process. If you submit an intent to file a claim on VA Form 21-0966 (which is not actually filing the claim itself), you should receive an acknowledgment as well as directions on how to file a formal, fully developed claim. Once the formal claim is filed, you may receive a request for information. As long as you respond within the allowed 30 days, the claim should remain within the fully developed claim track (which is intended to produce quicker decision times). Otherwise, the next notice from the VA is a decision letter, often accompanied by a rating decision on blue paper. After an approval, there may be some additional letters regarding a proposal of incompetency. Assuming that is resolved, that is the extent of it and the client should not expect any other correspondence. There are essentially three ways to communicate with the VA: mail/email, fax, and phone. Traditional mail is the default way to reach the VA and has the advantage of being traceable, whether you use certified mail with return receipt or prefer FedEx or UPS. U.S. mail is also the default way that the VA will communicate with you. You are promised by IRIS – the Inquiry Routing and Information System, which is the VA’s Internet-based public message management system – that you can use it to ask questions and submit complaints, compliments, and suggestions. You access IRIS by completing an online form at https://iris.custhelp.com rather than by directly emailing an inquiry. You can specify that the VA respond in one of three ways: email, telephone, or U.S. mail. Calling the VA National Call Center at the number (800) 827-1000 or the pension management centers at (877) 294-6380 may be the most direct way to make inquiries regarding a particular claim. To do so, the proper forms naming you as an authorized caller must be in the VA file. You are warned that calling cold, without an appointment time, will result in a lengthy wait time. It is better to call after hours, when you are prompted to schedule a phone call so that the VA calls you back at a specific date and time. This can be done a week in advance, but slots fill quickly, so keep your schedule flexible. Once you speak to an agent, there is little direct information that they can tell you about a claim other than to state what phase it is in (Development, Decision, or Notification). They may also disclose that a decision has been made or that a request for information is pending, but they will not go into specifics. The point of following up by phone is to track that a claim has been logged in and that it is moving through the process, even if there may not be much more to learn than that. At the very least, it forces somebody at the VA to look at the claim, and if there is anything off base about the claim, it’s better to know sooner rather than later. Phone calls from the VA to the client or representative are much less common. Once in a while an employee will call with an inquiry; however, they are more likely to call an assisted living facility or family member for confirmation of some fact, rather than the attorney’s office. Regardless of the method you choose to communicate with the VA, you must remember that you are often the most vital link for your clients to the VA and often their only way of understanding what the VA is trying to communicate in regards to their pension claim. If you aren't a Lawyers With Purpose member and want to learn about the nuts and bolts of the proposed VA changes...and what it means for your practice join our FREE WEBINAR on Wednesday, August 19th at 4 EST. Click here now to register. This blog post will focus on one of the most common forms used in VA improved pension (with aid and attendance) claims. As an introduction, I will start with some general comments on the use of VA forms. Like most well-established bureaucracies, the Department of Veterans Affairs is partial to its own forms. There are very few scenarios involving VA pension claims that do not call for at least one form. Using the wrong form or the wrong version of a form, or completing the right form incorrectly, can have serious unintended consequences to your claim. It could be delayed or outright denied. Because it is so important that you use the most current version of a form, the software developed by Lawyers with Purpose to complete claim forms is regularly updated to incorporate form revisions. Otherwise, to ensure that you are using the most up-to-date versions, we recommended that you go to the source: namely, the VA website at http://www.va.gov/vaforms/, which has 517 forms in its database. The goal of this post will be threefold: to define the purpose of the form; to discuss how to complete it, section by section; and to recommend what to file with the form. The VA form 21-527EZ Application for Pension, which is used by a veteran to apply for non-service-connected pension benefits. The form is only for veterans filing a claim. If the claimant is a surviving spouse, then you would use the counterpart VA form 21-534EZ. When you download the 21-527EZ from the VA website, the document has eight pages – four pages of instructions and four pages of form. The first two pages of the instructions explain what it is and how to file a Fully Developed Claim (FDC), which is a relatively quicker claim process in comparison to the Standard Claim Process. Page 3 of the instructions discusses what evidence you should supply to support your claim, depending on the level of benefits being sought: Base Pension, Housebound, or Aid & Attendance. The last page of instructions relates to benefits for a helpless child of a veteran, validity of marriages, and the effective date. There are 13 sections to VA form 21-527EZ, numbered with Roman numerals; 10 of these are labeled “Must Complete,” while the other three sections are to be completed only if applicable. Sections I and II are for the Veteran’s Personal and Service Information, respectively. Most of the fields here are self-explanatory. If the veteran previously filed a claim with the VA or you already filed an informal claim/intent to file a claim, you may have the VA file number to put in field 6; otherwise put “Unknown.” The question in field 9, “What disability(ies) prevents you from working?”, can be answered by putting “over 65.” Section III is for the Veteran’s Work History, which, unless they are currently working, you will complete by putting “Retired” in the first block of column 17A. The next three sections relate to the veteran’s family; specifically, marital history (IV and V) and dependent children (VI). You are required to complete Section IV regarding marital status. However, you should only complete Sections V and VI if the veteran is currently married or has dependent children, respectively, otherwise they can be crossed off as non-applicable. The next three sections (VII to IX) relate to finances. The associated section names are a little misleading. For example, Section VII: Income Verification – Net Worth is for reporting net worth and not income, as the name may lead you to believe. All countable assets of the veteran and any dependents should be listed here as of the effective date. Sections VIII and IX are both for reporting income of the veteran and any dependents as of the effective date, the difference being that Section VIII: Income Verification – Monthly Income should be used to report income that is received in fixed, monthly payments, such as Social Security or retirement pension, while Section IX: Expected Income is for reporting annual amounts of income that are not received in fixed, monthly payments. The effective date is the date that the informal claim or intent to file a claim was filed, or if not filed, the date the formal claim was submitted. Every source of income received by the veteran and any dependent should appear in either section VIII or IX, but never in both. Section X is for reporting unreimbursed medical, legal, or other expenses. However, since the VA has a more extensive form to report medical expense, VA form 21P-8416 Medical Expense Report, we recommend you use that form instead and only cross-reference VA form 21P-8416 in Section X. The last page and the three last sections of form 21-527EZ consist of Direct Deposit Information (XI), Claim Certification and Signature (XII), and Witnesses to Signature (XIII). You must complete the first two of these sections, and specifically, the veteran must sign Section XII. The VA does not recognize Powers of Attorney. The final section is only applicable if the veteran signed the previous section with an “X.” In that case, two witnesses must also sign to document the identity of the signer. When you file VA form 21-527EZ, you must also file verification documents. Simply put, what you file should support the data you entered in the 13 sections of the form. Whenever possible, provide photo identification, birth certificate, and military discharge paperwork. Moreover, and just as important, include marriage certificates and any divorce decrees or death certificates to document the proper dissolution of prior marriages. Their omission will almost certainly delay a claim when the VA has to request this information, wait to receive it, and then continue processing the claim. It is also recommended to provide financial statements to support the net worth and income as of the effective date reported in sections VII to IX. In summary, VA Form 21-527EZ is the primary application form for a veteran seeking non-service-connected pension benefits. It is best practice to complete all 10 mandatory sections of this form and any of the remaining three sections, if applicable, and to provide all documents that support what is declared on the form. Keep up to date with changes to VA forms by updating your LWP-CCS software whenever new releases are available and by checking the VA website regularly. If you want to learn more about VA benefits planning, or you are not a member and want to join us for our "Veterans Administration Proposed 3 Year Look Back And Other Law Changes" on August 19th at 4 EST register and reserve your spot by clicking here now. As the CEO of Life Care Funding, I find myself at many conferences, seminars and retreats across the country. I am often addressing gatherings of long-term care industry professionals who operate assisted living communities, homecare companies, and nursing homes, as well as insurance agents, financial advisors and elder law/estate planning attorneys. I have had the honor to speak before the Assisted Living Federation of America (ALFA), the American Health Care Association (AHCA), the American Association of Long Term Care Insurers (AALTCI), and the National Association of Elder Law Attorneys (NAELA), among many others. But my experience of attending the most recent symposium and retreat for Lawyers with Purpose in St. Louis was unique. I was not prepared for how different this event was from other meetings. The team that hosted the meeting and runs Lawyers with Purpose was incredibly enthusiastic and dedicated to making sure all the participants were getting real value and education for their time. The attendees were obviously there to work and to bring valuable tools and insights back to their firms. My impression was that this was more like a family, all working together to help each other succeed. In fact, if you were looking to attend a junket, this would not be the meeting for you. I have been on more than one vacation disguised as a conference. This was the opposite — this group rolls up their sleeves, works hard, and goes home with tools and strategies to excel as attorneys working with seniors and their families on one of the most difficult challenges of their lives. But it isn’t all work and no play – there was plenty of fun and time to network and socialize as well. Life Care Funding was the Platinum Sponsor of the meeting, and it was our pleasure to host the welcoming cocktail reception. The food and drinks were great, and we had a ton of fun with our drawing to give away four twin lobster dinners that will be flown to the lucky winners straight from the docks of Maine! We can’t wait to return to the next meeting as a Platinum Sponsor again this fall in Phoenix —and to give away some more lobster dinners. Life Care Funding is truly looking forward to working with Lawyers with Purpose and all the member law firms to assist families looking for innovative solutions to how they will pay for the expensive costs of long-term care. Chris Orestis, CEO of Life Care Funding, is an 18-year veteran of both the insurance and long-term care industries. A former Washington DC lobbyist, he is a nationally known senior care advocate and author of the Amazon best-selling book “Help on the Way,” and is a legislative expert, featured speaker, columnist and contributor to a number of insurance and long-term care industry publications. Chris is a frequent guest on national radio programs discussing senior issues, and has also been featured in the Wall Street Journal, New York Times, USA Today, Kiplinger’s, Fox Business News, and on PBS. Founded in 2007, Life Care Funding pioneered the concept of converting a life insurance policy into a Long Term Care Benefit Plan. Since the company’s inception, it has built a national network of agents, attorneys, and advisors, as well as over 5,000 Homecare, Assisted Living and Nursing Home companies that offer the Long Term Care Benefit policy conversion option to families directly across the United States. If you're interested in becoming a sponsor at our next event contact Roslyn Drotar at rdrotar@lawyerswithpurpose.com or 877-299-0326 x 105. You don't want to miss this unique opportunity to market and brand your business in the estate and elder law arena!